I was looking around on Modcloth trying to find my friend a gift for Christmas, when I got distracted by these adorable sweaters. Needless to say I thought it would be fun to round-up my favorites and share them with you guys. Aren't these animal sweaters so darn cute! Out of all of these sweaters the dog would be my favorite. He looks so funny and reminds me of Sparky in a lot of ways. 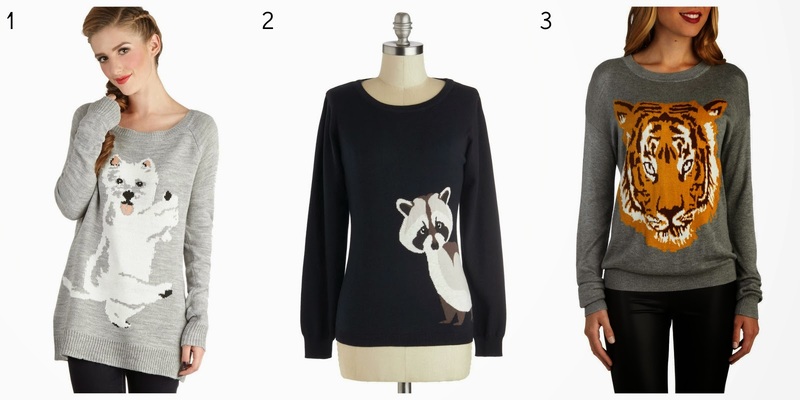 I also love the raccoon sweater because his tail goes around to the back (which is super adorable). 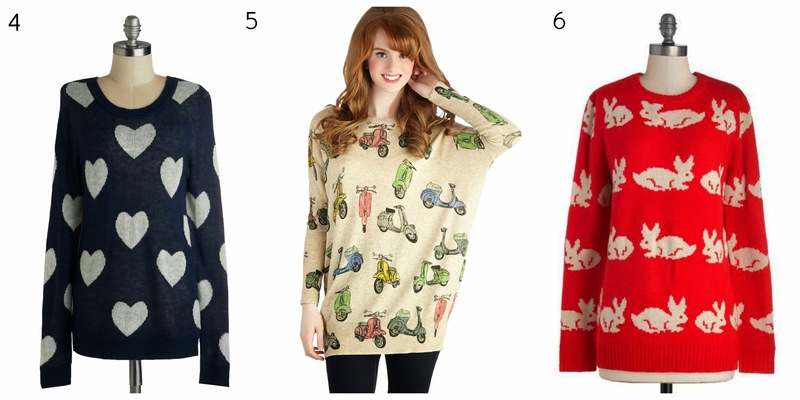 Out of these three sweaters, I love number five! The little scooters are so colorful and (when you look up close) have a hand drawn look to them.